To celebrate Black History month, Engadget is running a series of profiles honoring African American pioneers in the world of science and technology. Today we take a look at the life and work of Mark Dean. Dr. Mark Dean, an African-American computer scientist and engineer, spent over 30 years at IBM pursuing the Next Big Thing. He was chief engineer of the 12-person team that designed the original IBM PC in the early '80s, earning him three of the nine original patents for that device. Dean was also instrumental in designing the Industry Standard Architecture bus (which made it easy to plug external devices into IBM's PCs), laid the groundwork for color PC monitors and led the team that created the first gigahertz microprocessor. And despite his many accomplishments shaping our modern computing landscape, Dean isn't afraid to admit that the PC may now be going the way of the dodo. I personally believe most of the industry [doesn't] understand the benefits of a diverse workforce (awareness of societal norms and biases, cross-sectional innovation, diversity of leadership styles, out-of-the-box thinking, brand strength across all parts of society, better understanding of emerging markets -- domestic and international). Most industry leaders, including corporate boards, aren't willing to do what it takes to make a difference and create a diverse workforce. Throughout all of his work, he focused on predicting where computing was headed. Dean was right on target in the late '90s, when he was dreaming up a magazine-sized tablet that could accept voice commands, play media and replace your PC. He predicted that we'd see that within 10 years, which was pretty much in line with the iPad's debut in 2010. 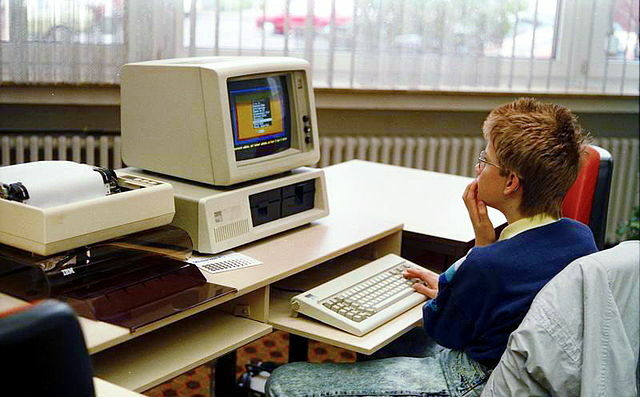 You might recall Dean's surprising comments on the IBM PC's 30th birthday, where he said the PC was "going the way of the typewriter" and revealed that his main computer was a tablet. He called IBM a "vanguard of the post-PC era" for selling its PC division to Lenovo in 2005 -- perhaps a wise move given the slowdown of the PC market over the past few years. And he argued the push away from commodity markets like PCs, printers and disk drives (RIP, Deskstar) allowed IBM to focus on next-level projects like the Watson supercomputer. "I ignored the people attempting to block my progress and had no limits to who I talked to and in sharing my opinion," Dean said when we asked how he dealt with issues around racism (which includes both the subtle, systemic type of racism, and the more obvious form). "I also was able to demonstrate my ideas to a point where it was hard to argue their viability. It took a lot of work and sacrifice. But I was confident and believed I had some good ideas. Fortunately, there were a few in the right leadership positions that agreed with my ideas." Born and raised in Jefferson City, Tennessee, Dean was gifted both athletically and academically. He headed to IBM after receiving a degree in electrical engineering from the University of Tennessee, where he would end up spending more than 30 years. Amid his work, he also earned a master's degree from Florida Atlantic University and a doctorate from Stanford. Dean was the first African-American to become an IBM Fellow, the company's highest distinction, and he was also named Black Engineer of the Year in 1997 and 2000. After several years as a VP at IBM's research division, Dean rounded out his tenure at the company as CTO of the Middle East and Africa. He left the company in 2013 and is now serving as a John Fisher distinguished professor at the University of Tennessee. As for his current work, Dean tells us he's "looking to develop an alternative computing architecture leveraging what we know about neuroscience and brain structures." Basically, it means rethinking the way we've thought about computers so far. "The brain tends to be good at processing large amounts of unstructured information in real time using very little power," he said. "We also wish to move from a traditional 'programming' paradigm to a 'learning' paradigm. The hope is to make software development easier and more accurate, while we make the resulting applications more reliable, secure and adaptive." Dean's ultimate advice to young people confronting racism at work: "Don't give up." "If someone is blocking your ideas and advancement, find a different way to expose your proposals, innovations and request," he said. "There is often someone at the next level or an associate manager that is willing to listen. To break through, you often have to be better than the rest. This takes a lot of work, but it is achievable. I would also suggest young people consider emerging areas of opportunity: bio-engineering, civil engineering, nano-technology, analytics, security, sensor technology, material science."